Nowhere is the development of the whole student more important than in the lower school. At GWA we’ve designed every aspect of the school day with a focus on encouraging a young person's mental, physical, emotional, social and ethical growth. 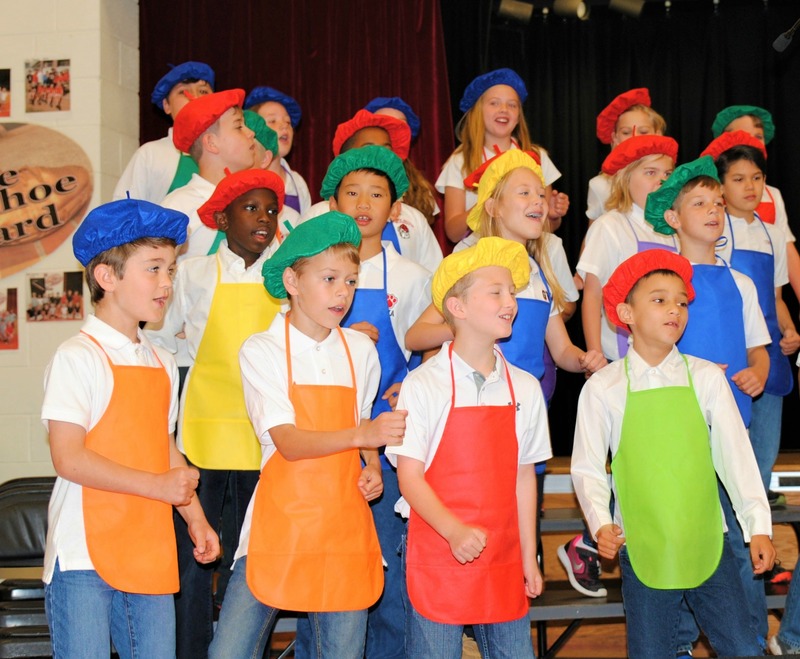 Although we rely on classroom experiences as the primary method of instruction, GWA’s lower school academic program is enhanced through field trips, guest speakers, games and as much hands-on experience as possible. Ultimately, our goal is to develop children who love to learn. We embolden curiosity, creativity and natural wonder in the pursuit of knowledge. To facilitate a consistent approach to student development, lower school teachers cooperate and coordinate at every grade level and in every subject area. They also seek to differentiate instruction for the individual so that students can progress at a pace that’s comfortable and appropriate for them. Instead of rapid vertical advancement in subject areas, our approach instead utilizes resources to provide a solid horizontal foundation – one that equips our younger students with the tools and skills necessary for long-term growth and success. Our curriculum in the lower grades is integrated and sequential. We like to describe it as a having a spiral effect: material taught in one grade is reviewed, augmented and extended in the next. While our programs stress the development of basic comprehension in oral and written language arts, we also devote a major portion of the curriculum to an emphasis on reading and mathematics. Lower school students at GWA receive focused instruction in technology and use either iPads or laptops in class on a regular basis. We approach science from a hands-on, experimental perspective, and the social studies curriculum not only covers the basics of geography but also encourages a young person's understanding and tolerance of other cultures. In addition to traditional academic disciplines, students attend weekly classes in Spanish, art, physical education, music, Bible and the media center. Learning from instructors in departments outside their normal classroom allows students to broaden their understanding of concepts, and it also enhances their ability to function with different authorities as well as their peers in varied situations. Our lower school students also attend recess daily. Lower school students take the Iowa Test of Basic Skills in first, third and fifth grades. GWA students’ performance on these tests consistently outranks state and national averages. When you begin an important journey, it’s crucial to set out with your destination in mind. That’s why the faculty at GWA – from K4 teachers to those who teach our senior AP classes – approach each day with a firm understanding of what we’d like to see in each Bulldog on graduation day. As part of the recent reaccreditation process, we reviewed and reworded our mission statement to better convey the vision of what we want our students to achieve during their time on our campus. We believe that each step along the way is important, but none so important as the first step in our K5 classrooms. 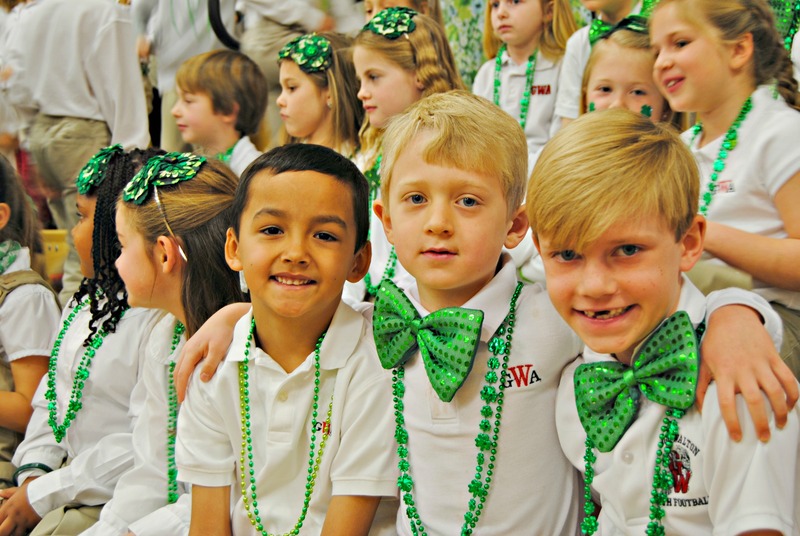 The GWA kindergarten program is the foundation of the college prep experience and is designed to develop the whole child. Our students learn through multi-sensory curriculum, such as our new Orton Gillingham approach to phonics and reading where students are using sand and colors to involve their senses in their learning experience. It’s amazing to see how they engage with technology during in-class activities and time spent in the computer lab. Weekly Spanish lessons enable them to study a language and a culture different from their own while teaching them to appreciate places and people around the world. Dedicated time for play allows students to begin learning foundational social and soft skills such as sharing, teamwork, friendship, and inclusion. All of this takes place within small class sizes with two teachers, allowing each child to receive individual attention and love. Our community is always excited to welcome our new K5 families each year, understanding that this is not only the beginning of their children’s educational journey but also the families’ relationship with the school. We love seeing the friendships formed between students and families in K5 blossom into lifelong bonds that extend far beyond our campus gates. We truly feel privileged to teach our students, regardless of age, and believe that families who enroll their children in our kindergarten program will benefit throughout their entire lives from their GWA experience. 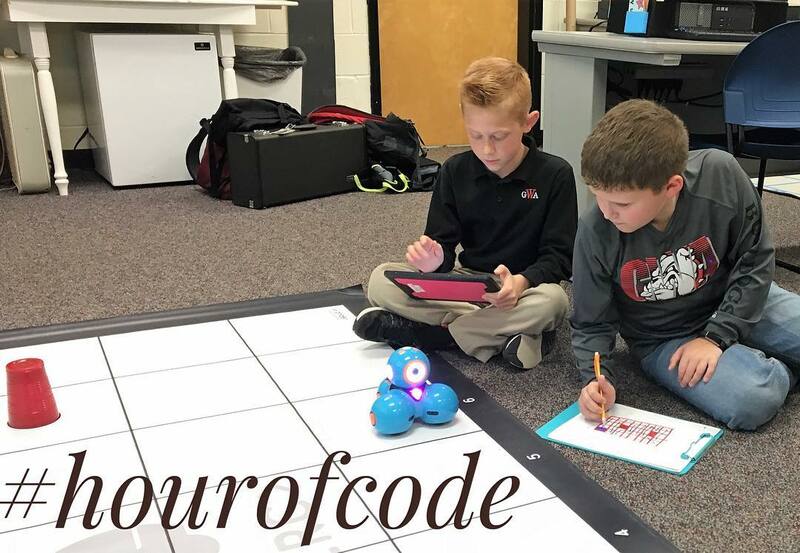 As part of a global movement to promote computer science and programming in schools all over the world, GWA students participated in coding exercises.